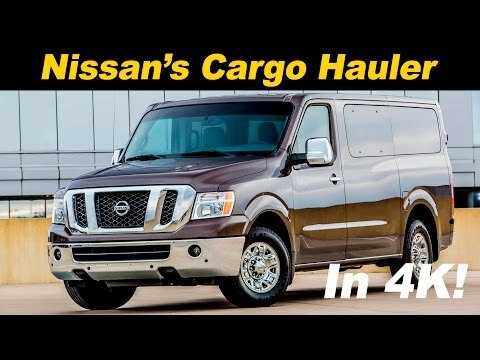 The 2016 Nissan NV full-size van can be employed to haul cargo or outfitted to carry up to 12 passengers. Like the Ford Transit and Ram ProMaster, the NV offers a choice of roof heights designed to help tailor each van to the needs of its owner. However, unlike its counterparts, the NV is still offered only in one length. Love the flexibility and the 12-passenger size for "larger than normal" families like ours! I love the 12 passenger capability all removable seats in the passenger area and the fact that the seatbelts are contained within the seats. I like the way that it handles and the backup camera. I wish that it had 4-wheel drive and that it got better gas mileage. I also wish that the air conditioning could be a little better in the back portion of the vehicle. Overall, we have been happy with our purchase and were thrilled with the price compared with our other options for at least 8 passengers. Gas mileage is ok. About the same as a truck. Luxury without the high price tag. I get leather, navigation, heated seats for way less than anything else. Plus it hauls all of our sports gear and out tows anything we have had.